For as long as I’ve been a resident of dear Dunboyne, there has been a tenuous but definite link back into Dublin City. An artery if you will, which pumps from the heart of the City Centre back to the edge of the old green belt. I’d guess I’ve been on the 70 bus or one of its variants at least 5000 times since 1985 or ‘86.Probably more actually. I remember all subtle route changes. Did you know its original terminus was just by the Ha’penny Bridge beside an old carpet shop? From there it would wrap around to Liffey Street back onto Lower Abbey Street, pass the old O’Connor’s denim shop ( complete with weird mural that nobody remembers) back onto Capel Street, over Grattan Bridge and back to the still familiar route. The terminus was pushed around a fair bit after that. 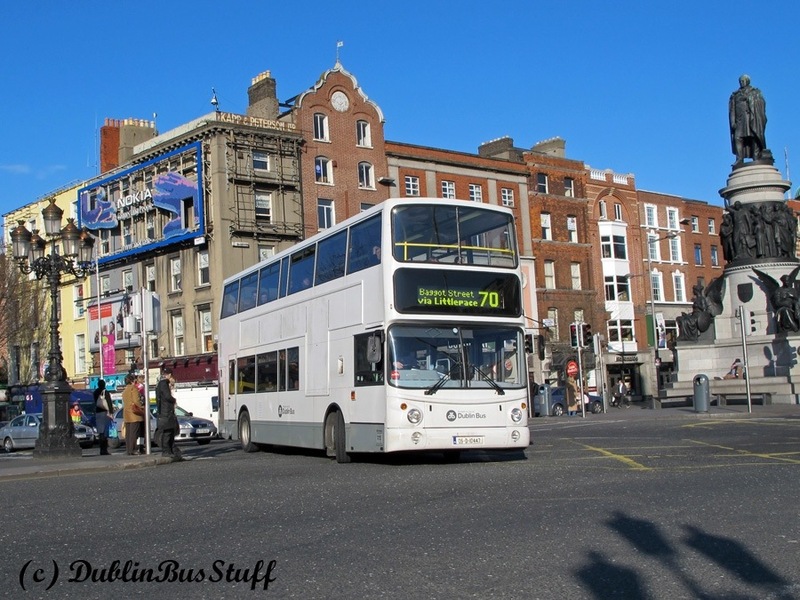 The 70 made its home in Middle Abbey Street for a while, near the old Chapter’s book shop, before switching to the Abbey Theatre. It was moved to facilitate the Luas works, whereby it took up residence at the model railway shop on Hawkins Street. Right now it starts at the Burlington Road, hitting Dawson and Suffolk Street before going back onto the quays. To live in Dunboyne without a car is much like living in a rural town without your own transport. For a long time, the bus only ran every two hours and sometimes not even then. Weekends especially were(and are) quite frustrating. I used to visit my Gran near NCR and by the time it got there from town, the single decker bus was always full, leaving me to sitting in the old luggage hold by the double doors. So many times I’ve had to put my faith in this wretched service. The worst was on those busy winter nights when it would already be full by the time it got to Prussia Street. You knew well it was full of fuckers from Castleknock who had just missed the 39.Worse yet, going to school in Blanchardstown for 6 years meant I either had to get the special school bus or the 70 on Wednesday half days. It improved slightly over time as the single deckers where taken out of commission and a new 270 service was deployed in the late 90s. This was to provide transport to the newly built Blanchardstown centre. Now noisy little yellow red mini buses went up and down the motorway. No matter what ideas you had about yourself, any passenger on these looked a bit ‘special’. There was never any real novelty value going on the bus. It was good seeing friends or acquaintances on there that might break up the long journey. It was even better to sometimes feign sleep when you saw someone you didn’t to see getting on at the next stop. A fond memory was the quiet man. He was a lad of maybe 25 and he’d sit down the very back of the top deck and roll himself a lovely joint. He’d have about half of it, never say a word and then offer it to whoever was sitting beside him before he got off at Littlepace. I wonder what became of him. I finally managed to move out in my early 20s, free now from the grip of those dusty green(then blue) seats. But I still get shudders when I think of all the time wasted waiting around for that bus, or worse yet having my life dictated to by its questionable scheduling. I never even mentioned the epic adventure that is the 70 Nitelink service or the old 70X that ran from UCD belfield for many years. Nowadays there’s a train that goes from Dunboyne into the city, though it doesn’t impress me much. It’s a long walk back into the village but I guess it’s better than nothing! My advice, get a car, or make lots of friends with available couch space in town. 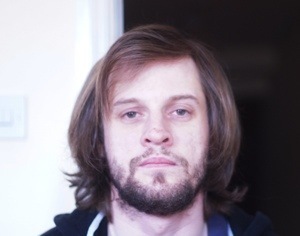 Hi, my name is Ray and I live in Ireland. I am slowly learning how unfair life is and dealing with it accordingly. Currently I live at home with my parents at the tender age of 32, having decided that success and a nice abode of my own was all too predictable. I presently work as an Intern, which in Ireland means, the same as everywhere else in the western world (no job prospects!). My principle interests include observing soccer players secretly laughing at the rest of us, wrestling with the reality that sometimes you’re better off not trying, wrestling full stop oh and fast food, consummation and critique thereof. I don’t like long walks along the beach, Monday is my favourite day of the week and if there’s an American TV show out there that you love and can’t stop talking about chances are I probably despise you. This entry was tagged 2013, 70, bus, city, Dublin, Dublin bus, Dunboyne, guest post, Ireland, living, memory, nostalgia, personal essay, personal experience, Ray Hyland, seventy, travel. Bookmark the permalink.